This season, the flu virus strain H3N2 is getting lots of media attention. Just like other H3N2-dominant seasons in the past, there are more hospitalizations and deaths, especially among the elderly, the very young and those who are immunocompromised. A mismatch of the vaccine this season means that those who were vaccinated are not getting the protection they hoped for, so now what? 1) Elderberry extract (Sambucus nigra) enhances the immune system and studies show that people taking elderberry recover from the flu faster than those who don’t. It helps reduce sinus and nasal congestion, and is deemed an effective treatment for the flu. 2) Vitamin D supports the immune system. “Vitamin D helps your body produce a protein called cathelicidin that fights bacteria and viruses,” says Carlos Camargo, M.D., an associate professor of medicine at Harvard Medical School. Studies show that people with adequate levels of vitamin D are less likely to get the flu, and when they do, they tend to recover faster compared to those who are deficient. In my practice, I see many adults and children in Hong Kong who are deficient in vitamin D. Before you start popping vitamin D supplements, get your levels checked so the correct dosage is given, if needed. Too much vitamin D puts you at a higher risk for kidney stones. 3) Up to 80% of our immune system lies in our gut, so it makes sense to boost immunity through the gut! Studies show that probiotic supplementation increases T-cell count, which makes you less vulnerable to infections. 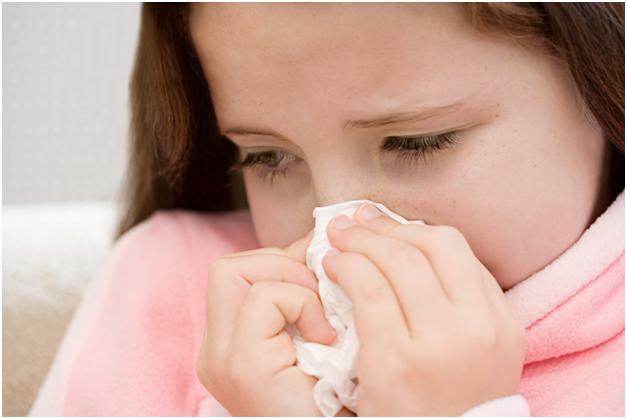 In a study involving 3- to 5-year-olds, daily probiotic supplementation for 6 months reduced fever, rhinorrhea, cough and antibiotic prescription incidence, as well as the number of missed school days attributable to illness. 5) Get enough sleep, exercise regularly, skip the sweets and alcohol, stop smoking. 6) Certain essential oils such as clove and eucalyptus have immune-enhancing properties. Some choose to diffuse it while others use direct or indirect inhalation. For topical use, always read the labels carefully and seek a certified aromatherapist if unsure. Always remember to wash your hands regularly with soap and avoid touching your face/ nose/ mouth. If you are sick, seek medical attention. Click here to read more on boosting your child’s health naturally. Click here to read more on how to rebuild your immune system and fend off illness. This entry was posted in Babies/ Children, General, Immunity, News Update and tagged H3N2, hot flushes, influenza. Bookmark the permalink.